I’m not a religious scholar and I don’t want to be one. ‘Religion,’ to me, is a very personal matter. It was not my choice to be born in a certain family and I’ve not studied enough to go through all contemporary religions to make a choice once again. What I am as in my birth certificate is the description of an accident of birth. Today if I’m to explore the deeper truths of creation and existence, one life or several lives won’t suffice to find the ultimate truth. So, I’m contended with the set of beliefs I’ve received from my parents, relatives, neighborhood and the society I lived in. Good luck to deeply religious, passionate and sincere souls and no argument with those who believe otherwise. Everyone has to bear his own cross. I’m what I’m. I know the religion sometimes motivates people to do good things, but that is far outweighed by the misery, death, and divisiveness produced by religions since it arose thousands of years ago. It was religion that crucified (or seemingly) Jesus and it was also religion that caused the martyrdom of KARBALA. Whose faith was the ‘force of good’ and who was following SATAN is an argument that is pregnant with the side you stand, by choice or accident of birth. And certainly, the argument continues. It is the religion that is causing bombs to explode in mosques, imambargahs and hospitals and it is religion that is dividing one human being from others. So, could we simply say – Religion is the cause, reason and effect of the negative developments today or yesterday or yonder? The beneficial effects of religion far outweigh the negatives it has caused. Let me be honest – I’ve no airtight case for it. If you look around, you will find that religion does indeed motivate people to do good things. If you can get people to behave better by making them believe in things that inspire them you are on the right track. You may call it religion. Isn’t better to base your actions and philosophy on things you know? That defines your background. For if you participate in good deeds because your trust in a faith and you think that this is what God wants, you’re a happy and contended man and in hopes of having a nice afterlife. Anon: “There can never be a conflict between true science and true religion, because they both describe reality.” Excerpt from a posting to a religious mailing list. While, religious wars, barbarism, coercion, discrimination and nepotism, desire to subjugate fellow human beings and lord over others point towards the flip side of religion, the good side is that religion promotes charity, altruism, compassion, discipline and total surrender to Universal Power who is always RIGHT and that has been given different names. With religions come the religious books and faith-soaked literature that wield their long term and short-term effects. One can’t dare to question the claims of Holy Literature. Religion is out domain of criticism. The society and religion are too powerful to crush the dissent in any form slowly and surely without much ado. Religion, as a system of dictatorship was seen when Popes had total control over the lives of their subjects and the Arab countries where even today they exploit religion and religious book to perpetuate their cruel dynastic rules. Egypt, once a cradle of Islam, the oldest seat of religion is the latest example of failed understanding or no understanding of religion. There is bloodshed and death on either side of river Nile. But, on the other side, if one goes to an Utopian society where all the better rules could prevail without religion, you would end up in a desert where even the psychological palliation is not available when you are in doldrums. All new ISMS have flopped. The best examples were the worsening social, economic and political conditions of Communist, Scandinavia and Western European countries that had, by and large, rejected religion but were certainly no better or worse as societies than the highly religious states. One can’t deny, if you’re not a religious zealot that secularist societies in the West have often shown, in 20 the century more “well being” than religious ones. This reflects a negative correlation between the religiosity of a country and its well being. The sub-Saharan Africa and the Middle East are places where many countries are both highly religious and deeply dysfunctional. Let us go back to the fundamental question – What is religion and why do we need it? Here I am quoting some lines of Albert Einstein. 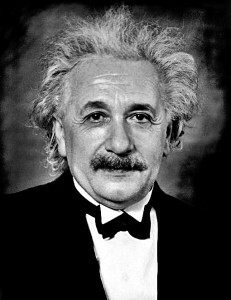 The following article by Albert Einstein was appeared in the New York Times Magazine on November 9, 1930 pp 1-4. Everything that the human race has done and thought is concerned with the satisfaction of deeply felt needs and the assuagement of pain. One has to keep this constantly in mind if one wishes to understand spiritual movements and their development. A little consideration will suffice to show us that the most varying emotions preside over the birth of religious thought and experience. With primitive man it is above all fear that evokes religious notions – fear of hunger, wild beasts, sickness, death. Since at this stage of existence understanding of causal connections is usually poorly developed, the human mind creates illusory beings more or less analogous to itself on whose wills and actions these fearful happenings depend. Thus one tries to secure the favor of these beings by carrying out actions and offering sacrifices which, according to the tradition handed down from generation to generation, propitiate them or make them well disposed toward a mortal. In this sense I am speaking of a religion of fear. This, though not created, is in an important degree stabilized by the formation of a special priestly caste which sets itself up as a mediator between the people and the beings they fear, and erects a hegemony on this basis. In many cases a leader or ruler or a privileged class whose position rests on other factors combines priestly functions with its secular authority in order to make the latter more secure; or the political rulers and the priestly caste make common cause in their own interests. The social impulses are another source of the crystallization of religion. Fathers and mothers and the leaders of larger human communities are mortal and fallible. The desire for guidance, love, and support prompts men to form the social or moral conception of God. This is the God of Providence, who protects, disposes, rewards, and punishes; the God who, according to the limits of the believer’s outlook, loves and cherishes the life of the tribe or of the human race, or even or life itself; the comforter in sorrow and unsatisfied longing; he who preserves the souls of the dead. This is the social or moral conception of God. It is therefore easy to see why the churches have always fought science and persecuted its devotees. On the other hand, I maintain that the cosmic religious feeling is the strongest and noblest motive for scientific research. Let us move to the works of another famous philosopher Bertrand Russell. He was often asked the question of whether he was agnostic or atheist. In his replies he typically said that he was an agnostic. I think the reason for that was that he had very high standards for knowledge. The atheist would be someone who claims to know there is no God. That for Russell would require a proof. He always said he denied that he could prove that God didn’t exist, but he thought that there was no evidence whatsoever to support the view that God did exist. Russell did think that religion was responsible for a great deal of harm. He was acutely aware of historical religious wars, he was acutely aware of religious oppression, of the horrors of the inquisition and the ongoing horrors of religious oppression in everyday life. He was living in the 1920s and 30s when religion was in retreat but it still had a very substantial hold on people’s lives, especially on matters of sexual morality that he was concerned with. 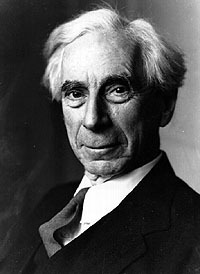 From Bertrand Russell we switch over to our own backyard. According to the second Indian President, scholar and philosopher Dr Radha Krishnan, life of strenuous endeavor for human betterment is not possible, if we are not persuaded that life has a meaning. Many of our popular writers today seem to be possessed by the one desire to escape from the world of meaning and teach us the essential purposelessness of life. They make us believe, with a good deal of cleverness and sophistry, that life is infinitely complicated and totally inexplicable. Many of our students are taught to assume that free-will and personal responsibility are illusions, that human beings are conditioned almost wholly by their physical make-up and the society in which they live, and that the only sense that the religious statements make is emotional and subjective. This is a generation which knows how to doubt but not how to admire, much less to believe. This aimlessness, this indifference to basic issues, is to no small extent, responsible for the decline of standards, for the fading of ideals, for the defeat of human endeavor. For Dr Radhakrishnan, religion was not about path to salvation. 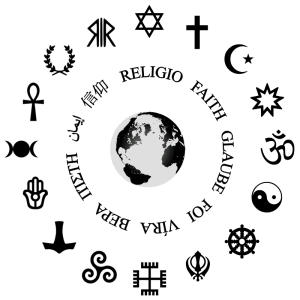 As a person who believed in evolution of religion according to changing times, Dr Radhakrishnan argued that there is nothing called “irreligion”. Atheism is a quest for higher religion compatible with the increased knowledge. Secularism itself is a spiritual construct. He explains: “There is no state religion. All the different forms are given equal place, provided they do not lead to corrupt practices. Each one is at liberty to approach the unseen as it suits his capacity and inclination. If this is the basis of our secular state, to be secular is not to be religiously illiterate. It is to be deeply spiritual and not narrowly religious”. 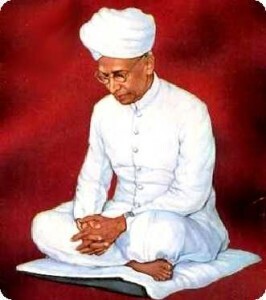 Dr Radhakrishnan believed that religion and science can not only coexist but one is incomplete without the other. Acquiring knowledge involves devotion/discipline (Bhakti) and Faith (Shraddha). It must be complimented by other process like Hearing/Listening (Shravana), Reflection (Manana) and Contemplation (Nididdhyasana). 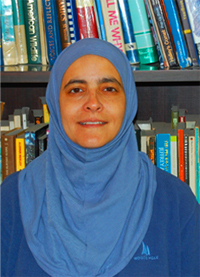 Today, many of the thinkers blame Islam’s indifference rather its supposed hostility towards science. Let us remember that between the eighth and the 13th centuries, while Europe stumbled through the dark ages while science thrived in Islamic states. Irrespective of their style and antecedents, the Abbasid caliphs showered money on learning. The 11th century “Canon of Medicine” by Avicenna (pictured, with modern equipment he would have relished) was a standard medical text in Europe for hundreds of years. In the ninth century Muhammad al-Khwarizmi laid down the principles of algebra, a word derived from the name of his book, “Kitab al-Jabr”. Al-Hasan Ibn al-Haytham transformed the study of light and optics. Abu Raihan al-Biruni, a Persian, calculated the earth’s circumference to within 1%. And Muslim scholars did much to preserve the intellectual heritage of ancient Greece; centuries later it helped spark Europe’s scientific revolution. Science and Islam were compatible. In the last few centuries, while the other Christian states compromised between religion and science, the myopic rulers or Muslim world refused to change. While the science was taking the man to moon they were fighting about the sighting of moon. It was the political attitude and ignorance of Muslim rulers and not the set of belief that brought the down fall of once leading society of the world. “The Koran is not a science textbook. It provides people with guidelines as to how they should live their lives.” Interpretations of it, she argues, can evolve with new scientific discoveries. Koranic verses about the creation of man, for example, can now be read as providing support for evolution.